This is our itThinx Affiliates Plugin review. What is itThinx Affiliates Plugin? itThinx Affiliates Plugin is an affiliates software for Wordpress. It's one of the best Wordpress affiliate plugin on the market and it seamlessly integrates with WooCommerce. Plus, it has an array of extensions to perfect your affiliate program. itThinx is one of the best Wordpress affiliate plugin on the internet. It integrates with WooCommerce and you can have your affiliate marketing program up in minutes. What is affiliate marketing? Affiliate marketing is one of the most used marketing tools on the internet. It's where affiliates refer your business via blog posts, social media posts, and other referral methods in return for commission. In other words, affiliates get paid a portion of sales. Affiliate marketing is used by many companies because there's a direct return on investment. It's a performance based program where affiliates are paid for the actual sales they refer to your business. It's the reason why it's used by everyone who has an online business. The advertising costs are directly associated with your sales versus paying an "influencer" for a sponsored post that doesn't provide any direct return on investment. itThinx affiliate plugin helps you implement your own affiliate program for your Wordpress site. They have a great plugin ecosystem where you can enhance and perfect your affiliate marketing program. In addition, they have different affiliate plugins like Affiliates Pro and Affiliates Enterprise. Affiliates Enterprise is the plugin with all the features you'll need to start a great affiliate program, so we're going to discuss it. itThinx affiliates software for Wordpress lets you manage your affiliates with ease. Affiliates can automatically register on your website or you can add them manually with or without user accounts. 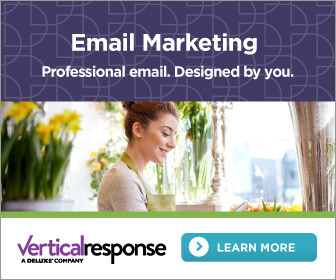 Affiliate registration is a breeze with a notification email. In addition, affiliates can be notified when they make a sale. Also, you can export all your affiliate data with a push of a button. itThinx doesn't limit the number of affiliates like other plugins. With itThinx, you can easily create an affiliate dashboard (i.e., affiliate area) for all your affiliates. itThinx Affiliates Enterprise automatically creates your affiliate area; after Affiliates Enterprise creates it, you can customize it as you see fit. You can add as many pages as your want. You can add a campaign, banner, profile, links, statistics, and so much more. It's completely up to you. This feature definitely makes itThinx one of the best Wordpress affiliate plugin. itThinx affiliates software for Wordpress lets you easily create banners. The banners can be used by your affiliates on their blogs by simply copying and pasting the code. In addition, you can add the banners to any page via short codes. There's no coding experience necessary for the setup with itThinx copy and paste. ItThinx makes it easy for you to setup your affiliate marketing program. In addition, with itThinx, your affiliates can track the source of their traffic and sales. In other words, the plugin can determine if the clicks are coming from Facebook, Twitter, websites, and etc. It's a great tool because it helps your affiliates optimize their campaigns and switch resources for more sales. For example, your affiliate can do more Facebook posts if they see most of their sales is coming from Facebook. This feature definitely makes itThinx one of the best Wordpress affiliate plugin. itThinx affiliates software for Wordpress lets you create different commission rates. You can set it at a fixed amount, a percentage of sales, different rates for different affiliates, different rates for products, or complex equations for your commission structure. There's no one-size-fits-all with itThinx. In addition, with itThinx, you can create multi-level commission rates where they get paid more for referring more sales. For example, you can set the commission rate at 10% for 10+ sales, 20% for 40+ sales, and so on. It's a great incentive commission structure. Also, itThinx includes a multi-level-marketing program. In other words, your affiliates can get paid for referring other affiliates. For example, you have affiliate A who has a large network. You can incentive him to refer affiliates to the your program by offering him commission for any sales his affiliate referral makes. In other words, affiliate A refers three of his friends and his three friends refers 30 sales. Affiliate A will get commission for his three friends sales. Best Wordpress affiliate plugin? 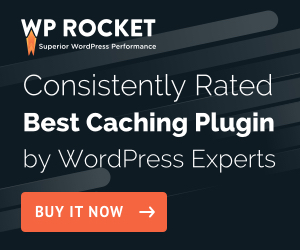 The case is strong because this feature isn't offered by other Wordpress affiliate plugins. itThinx affiliate software for Wordpress makes it easy to track payments and referrals. It automatically tracks sales and credits your affiliate who made the sale. In addition, you can manually credit your affiliate for a sale. With itThinx, you can pay your affiliates via PayPal. The payouts can be done all at once with an aggregated total via PayPal Mass Pay. It's done via an export file. This is requires itThinx PayPal extension here. I love the PayPal MassPay option and it definitely puts itThinx as one of the best Wordpress affiliate plugin. itThinx affiliate software for Wordpress makes tracking referrals easy. All referral traffic are recorded in real-time and available as transactions occur. In addition, itThinx offers pixel-based tracking, which allows affiliates to refer customers without them clicking on the affiliate link. The traffic can be monitored by you on the back-end; in addition, affiliates can monitor their individual traffic on the front-end with a simple shortcode. The pixel-based tracking definitely makes itThinx affiliate plugin one of the best wordpress affiliate plugin. Integrates Groups with Gravity Forms to add users to groups automatically based on form submissions. itThinx affiliates software for Wordpress has a lot of great features. The full feature Affiliates Enterprise is definitely the way to go. It creates an optimized affiliate program for your online business where you can take advantage of affiliate marketing's power. The multi-level-marketing capabilities helps incentives your affiliates to refer their friends, which will boost total revenue. In addition, itThinx has a robust ecosystem of extensions for you to fully optimize your affiliate program. itThinx definitely is one of the best Wordpress affiliate plugin with the versatile commission rates and pixel tracking. 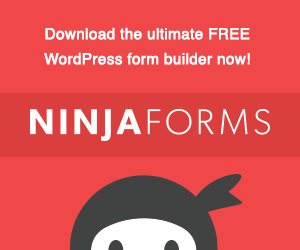 It easily integrates with Gravity Forms, Wordpress, and WooCommerce. In addition, itThinx annual subscription provides more bang for your buck compared to other affiliate plugins on the market. Lastly, there's another option for your business if you don't want to use 3rd party software. You can sign up with ShareASale. ShareASale is one of the best affiliate networks and the most budget friendly affiliate network. There's a setup fee. However, you don't pay any fees for the first 4 months except affiliate commissions and a transaction fee. In addition, they have a massive collection of bloggers, influencers, and other people who are actively promoting products. They handle all the back-end, maintenance, and everything related to running an affiliate program. All you have to do is manually approve your affiliates or you can setup auto-approval based on a list of criteria. Check them out here. Start Your Affiliate Program Now!